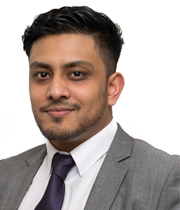 Vidhur studied Management Sciences at Manchester University, focusing on accountancy, before going on to qualify as a chartered accountant. 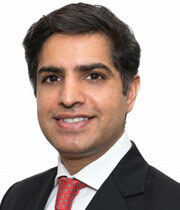 He began his career working in investment banking but after several years decided to join Benham and Reeves in 2003. Since then he has expanded the finance department, introducing a broader range of services to encompass all financial aspects of property investment, from collecting rent through to completing tax returns (or ATED returns for overseas companies). He has also put in place operational procedures and controls which have enabled the company not only to provide a first-rate service to clients, but also to provide the backbone to its successful and continuing growth. Ling has worked for the company since 2001 and is responsible for purchase ledger maintenance, year end accounts preparation and VAT reporting. She has many years of accounts experience in the property industry, previously working for companies including Richard Anthony & Co and Sunway PRK, a property construction company. Away from work she's a keen cook and mum to two lovely, lively boys. Christina is responsible for landlords' tax returns and also payroll. She has extensive accounts experience, previously working for the Doyle collection and alongside forensic accountants with DEFRA on Foot and Mouth disease. She loves sports, particularly skiing and badminton. Tyrone has worked for the company for over seven years now and has built up strong, trusting relationships with our clients ensuring that all elements of the Accounts process run as smoothly as possible for them. In his spare time, Tyrone loves to dance and is the life of any party; he is also an avid fan of Manchester United. Darshita has several years' experience in finance administration and property. Her role involves posting invoices and reconciling supplier accounts, office bank account reconciliation and reconciling credit card accounts. She has a degree in Business Studies. Raluca is the Assistant Accountant, besides dealing with the landlord’s tax return, she also deals and focuses on invoices, postings and reconciliations. Raluca appreciates her role as she enjoys preparing the financial statements, accounts and processing the invoices. Outside of work Raluca spends most of her time reading, listening to music and travelling. Monika has been working for us since 2008, first as an Office Administrator at several of our branches, including Hampstead and Highgate, and now as PA to Vidhur Mehra, our Finance Director. "It's a challenging role but very rewarding," reports Monika, who is putting her organisational skills to good use in her new position, which she took up in 2013. An accomplished linguist, Monika speaks five languages, including Russian and German. She lives in West Kensington. Andrea joined the Accounts Team from her Property Administrator role in our Management department and brings to her accounts role many transferable skills including a keen eye for detail. Andrea's duties include co-ordinating rent payments and liaising with landlords and she also provides general accounting support within the department. Andrea loves cake baking and is also a keen swimmer and tennis player. Attention to detail is essential for Ana-Maria's role as a Client Account Administrator in our accounts department where one of her key responsibilities is to check new letting agreements and management contracts. Ana-Maria has a degree in Law and Business and before joining Benham and Reeves she held several accounts roles in the retail industry. Travelling and reading are amongst her main interests outside work. Zunaid is responsible for checking new letting agreements and management contracts. He has a First Class Honours degree in Management and Professional Accounting coupled with extensive accounts experience - he previously worked in the finance department of a major IT firm. He is passionate about football and outside work he is a Level One football coach and assistant manager of an Under 13s football team. Diana is the Client Account Administrator and her responsibilities include transfers, booking invoices, payments and ensuring all client information is stored with encryption for full safety purposes. With a BA Honours in Building, Painting and Book Restoration, Diana has an astute attention to detail, patience and a fast learner. Outside of work Diana enjoys reading, swimming and watching movies and tv series.